This book is hard going, but worth the effort for fans of the ever-expanding field of brain science. It is hard going only in the sense of being deep, cutting edge, and futuristic in its suppositions. It will leave readers both amazed and full of questions. NYU professor Gary Marcus and neuroscientist Jeremy Freeman at the Howard Hughes Medical Institute deliver a remarkable set of essays by some of the world’s leading neuroscientists. Stellar names include Christof Koch, George Church, Ned Block (who weighs in as one of several skeptics), and two 2014 Nobel laureates, May-Britt Moser and Edvard Moser. Our deep knowledge of neuroscience, peeled back as if layers of an onion, has paradoxically made us aware of how much we still don’t understand about the brain and its psychology. It’s a grand field to be in because its promise seems inexhaustible. The European Human Brain Project, for example, builds ever more powerful supercomputers that simulate the electrical and physical actions of neurons at both the cellular and subcellular level. The project has already proven that fast computers coupled with biological knowledge can let us understand the workings of a wedge of actual brain tissue. The progress from measurement to meaning feels palpable. And yet how do we go from individual nerve cells to large–scale analysis and, ultimately, understanding of behavior? The public thinks of a nerve cell as a single entity. But it comes in hundreds or even thousands of distinct types each with unique properties. When a news report says that a certain behavior is associated with some part of the brain, people take that statement as an explanation. This is far removed from the reality. Even after decades of studying zebra fish whose brains are transparent and whose networks consist of a mere 30 cells, we still don’t understand the organism at a whole-brain level. Eight-five percent of all our genes are expressed somewhere in the brain, which suggests that our efforts won’t be wasted. 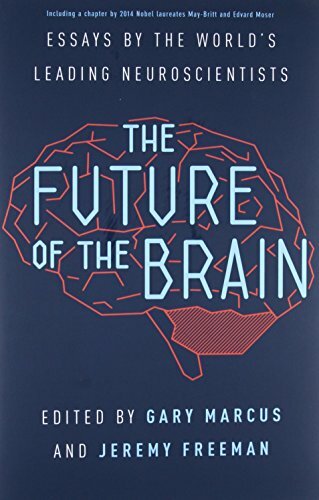 Neuroscience uses an astounding variety of clever tools, and this book weighs in on brain mapping, genetics, neural computation, brain–inspired or “neuromorphic” computing, electrical engineering, linguistics, and more. One of the most fascinating developments is optogenetics by which a mouse gene is rendered sensitive to different frequencies of light. Afterward a behavior such as feeding or fear can be switched on and off at will. We have become increasingly aware that all aspects of integrative brain function rely on the action of networks, and that faults in connectivity are associated with impairments of gross brain function as autism, Parkinson’s disease, psychiatric illness, and more. Brain-machine interfaces are already in use. More than 100,000 patients already have deep brain stimulation systems implanted. Magnetic coils, ultrasound, and even light can travel through the scalp and skull to affect sensors implanted in the brain. Such sensors might well predict impending seizures well before they occur clinically. The book ends on a fascinating exploration of “neural dust,” microscopic implantable brain-machine interfaces that can stay implanted for last a lifetime, yet be effective enough to control a prosthetic arm or replace a damaged retina. Rather than use electromagnetic waves such as those recorded from the EEG, these microscopic devices employ ultrasonic waves and are thus 10 million times more energy efficient. It seems feasible that we can build ultra–small, wireless, neural recording devices that are powered by the biological tissue of the brain itself. And that is a brave new world indeed.